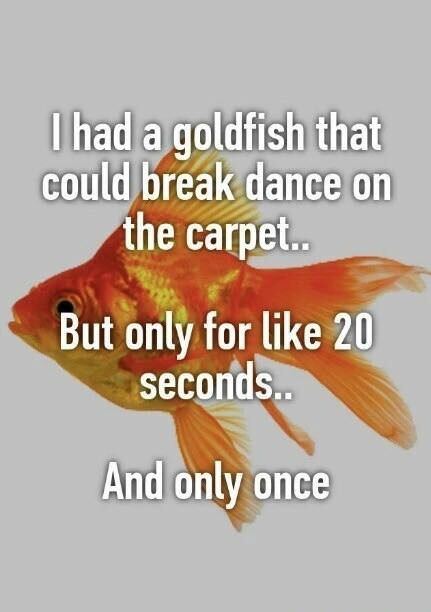 Funny meme - I had a goldfish that could breakdance on the carpet... But only for like 20 seconds. And only once.